This will merge with Selrach's armor and combine draconic scale subsumption to make better armor. Reported to drop from Tier 1 named. Let us know which named it is dropping from. 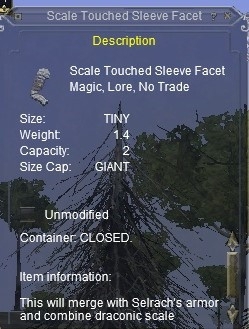 This container is used to make Tier 1 RoS armor.